For many of the tens of millions of tourists who visit Las Vegas every year, they will invariably visit at least one casino. The allure of throwing chips down on the roulette table, playing poker with friends, or pulling the levers of noisy but exciting slot machines can be overwhelming. For those of us who cannot visit Vegas for one reason or another, there is a way to bring the experience to the comfort of our homes. Forget shelling out for overpriced cocktails, hotels which looked much better on the adverts, or dealing with the intense heat. By following these tips, grabbing yourself a free promotional casino bonus, and pressing play on your Elvis CD, you can magically transport yourself to Nevada’s world-famous destination. Providing there are no laws or restrictions in your country or state which restrict access to gambling sites, find an online casino and sign up. Once you have an account, you will have access to a wide range of games which you would only find inside a land-based casino somewhere like Las Vegas. From slots to roulette, you will find the entire world’s most popular games and titles provided by the best software developers currently plying their trade in the online casino industry. Taking it one step further, you can play what are known as “Live Dealer” games. Much like standard online casino lobbies, you will find the same range of games like roulette, poker, blackjack, backgammon, baccarat, wheel of fortune, slots and more. 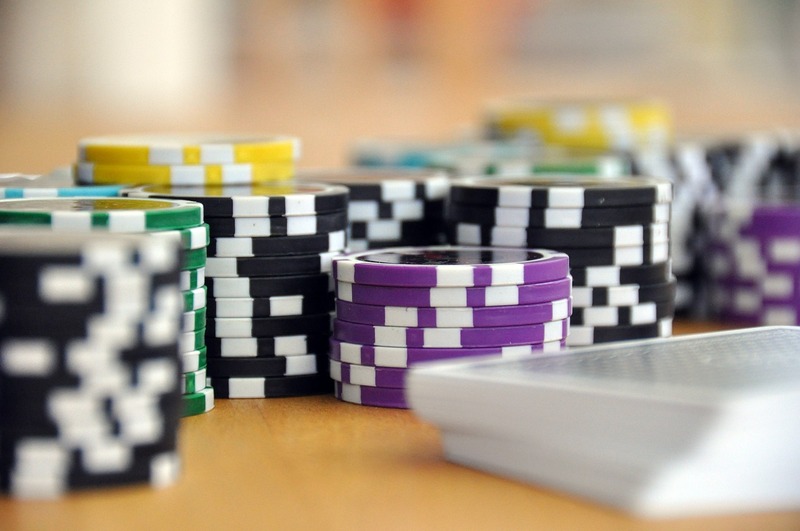 With Live Dealer games, you will be playing with real life dealers and croupiers. The dealers will stand in front of a table and be responsible for overlooking the games, much like in a casino in Las Vegas. The videos are broadcast from a studio via a satellite feed into your living room. You can communicate with the dealers, and really bring that land-based casino experience to you in style. Another alternative to heading on over to Las Vegas is to hire the equipment and staff necessary to man a “casino night” at home. Perhaps there is a party coming up, and you want to do something a little different. Or grandma’s days in the casino lobbies are a thing of the past as she can no longer travel comfortably. Hosting a casino night can be such a blast. What you will need to do this is the right equipment. You can either purchase or hire roulette tables, blackjack tables, and slots to add a little wow factor for your guests. Play some casino lobby music, and get your family members to man the tables. Make some cocktails, offer some snacks and give everyone that VIP experience!